Challenge your shooting skills at 13 Sporting Clays stations along a hard surface path through scenic woods. Using Claymate counters, a trapper is not necessary and a single shooter can have a three second delay on targets being thrown. With this delay, the shooter has ample time to select the target combination he or she wishes to shoot and then can get into a shooting position before the targets appear. This includes single targets, report pair, or true pair. It’s all easy to use and instructions are brief and simple. The course features two machines per station, and the targets are labeled A and B with bright signs. In addition, each group is allowed to preview one of each target on the course for a total of 26 targets. This provides the opportunity to actually see the target fly across the station in order to be better prepared to pepper the targets. A suggested course of fire is provided at each station. Hunter is easiest course of fire and is suggested for the beginner or novice. Advanced is the middle level and is a good choice for those more proficient with sporting clays. Tournament or Expert is the most challenging level and does require some experience and skill level. Once again, all levels are suggested levels of fire, and the shooter may choose the proper course of fire. In fact, beginners often just shoot single targets on the entire course and have a great time! Each station’s menu will list the number of targets to be shot at each station and whether the total is to be 50 or 100 rounds. Typically, a round of 50 would equate to shooting 4 targets at 11 stations and 3 targets at 2 stations, and the menu lists the number to be shot at each station. Simply following the menu guides the shooter through the course and provides the correct number of targets. Come and Practice Your Wing Shooting Skills! Come out, spend an enjoyable morning or afternoonon the course, and have some fun! Bring a friend, bring a youngster, or just bring yourself. If you haven’t gotten out to shoot in a while, you need to do so. 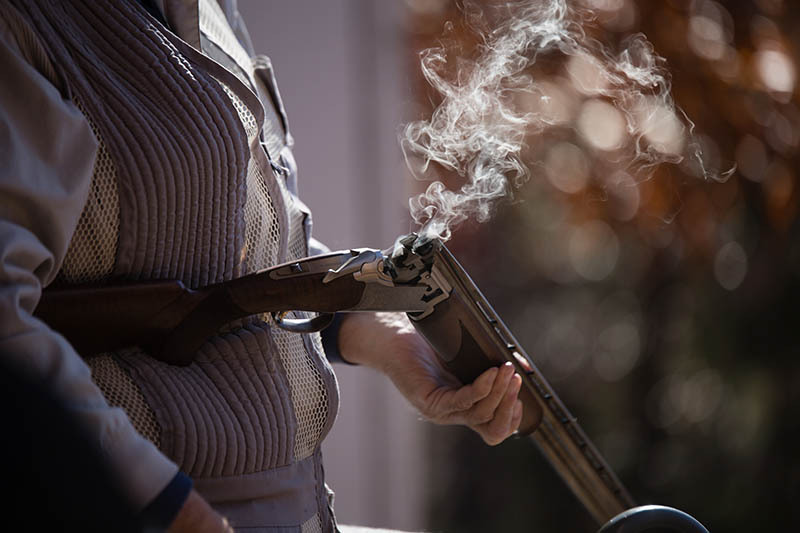 Nothing beats a good day on the sporting clays course, so be sure to bring plenty of ammo!